On Midsummer’s Day, Sunday 21 June , there’ll be a buzz being created in Princetown for the launch of a new project – the Dartmoor Conservation Garden. 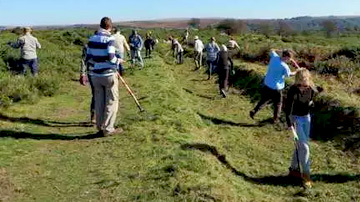 This project, sited in the Jack Wigmore Garden behind the National Park Visitor Centre, is hosted by the Dartmoor Preservation Association, with support from the Dartmoor National Park Your Dartmoor Fund. 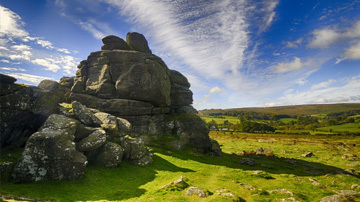 The project offers a programme of events, mostly free, through to late autumn including supporting wildlife of all kinds at home in our gardens, butterfly identification and conservation work supporting rarer butterflies on Dartmoor, and a chance to learn more about Dartmoor’s ferns, lichens and mosses. The garden also provides an outdoor classroom resource for local schools and pupils. The launch starts at 12.30pm with a guided walk around the garden with Pat Fleming. 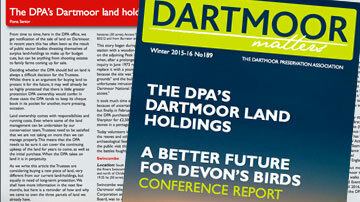 At lunchtime members of the Dartmoor Preservation Association will be on hand to answer questions about their conservation work on sites all around Dartmoor, with free light refreshments provided by local businesses. Between 2 – 4 pm there will be a free hands-on workshop ‘Creating a Buzz in your own Backyard or Garden’ with Emily Stallworthy from the Devon Wildlife Trust. This offers family-friendly activities and advice on simple practical steps to encourage and support wildlife in your own back yard or garden, and a chance to get your hands dirty making something to take home. The garden offers everyone a peaceful place to visit for free, with information about Dartmoor’s plants and conservation. 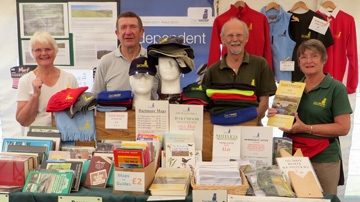 Come and see our work in progress, and join in the buzz on Midsummers’ Day.